I’m having a bit of a guilt trip. Our (otherwise brilliant) builders have ordered the wrong windows for our extension – some of them have to be replaced for regulatory reasons, but all of them are ‘wrong’. Windows are made to order, so it is very unlikely a new home can be found for them. Now I’ve got a dilemma – stick to the spec and create a big chunk of unnecessary waste, or take the aesthetic hit and live with the regret. And I’ve pretty much decided on the former. But it illustrates a wider point – there is no such thing as ‘waste’, rather resources which are wasted. And off-spec product is one of the most economically and environmentally expensive forms of waste as maximum value has been added to the raw materials by then. (Top tip: If you’re doing waste minimisation, play plenty of attention to ‘goods out’.) 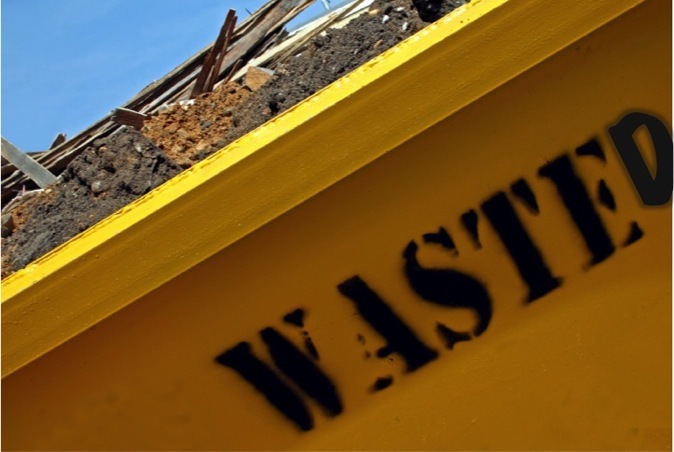 Words matter too – calling stuff ‘waste’ suggests it is inevitable, calling the action of throwing stuff away ‘wasting’ gives a much more powerful mental spur to avoid it.